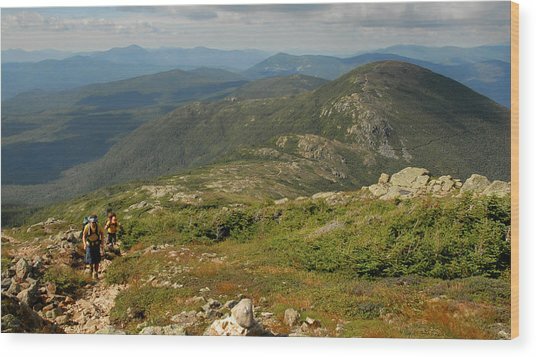 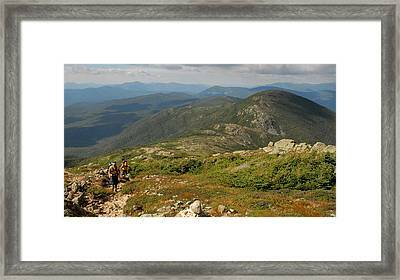 Summer Hike On The Crawford Path is a photograph by Ken Stampfer which was uploaded on January 20th, 2013. 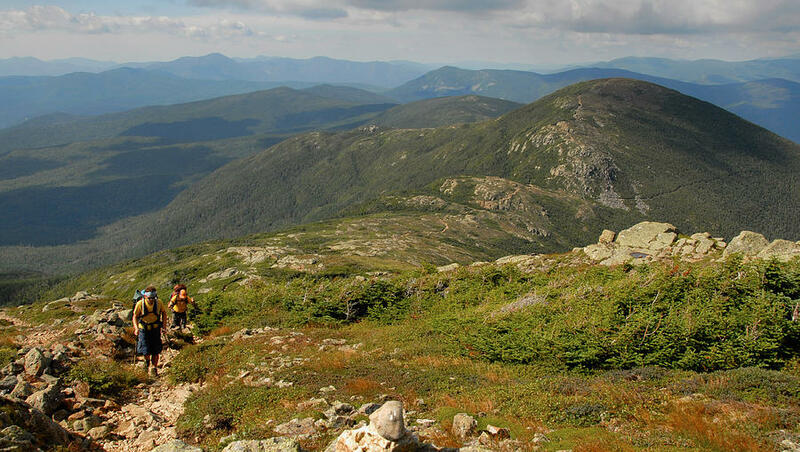 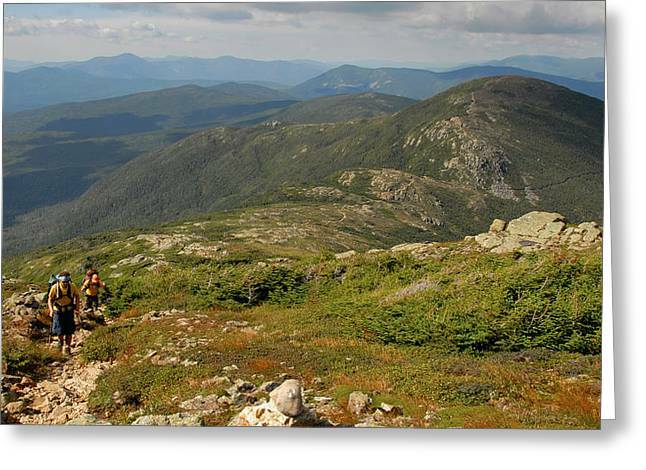 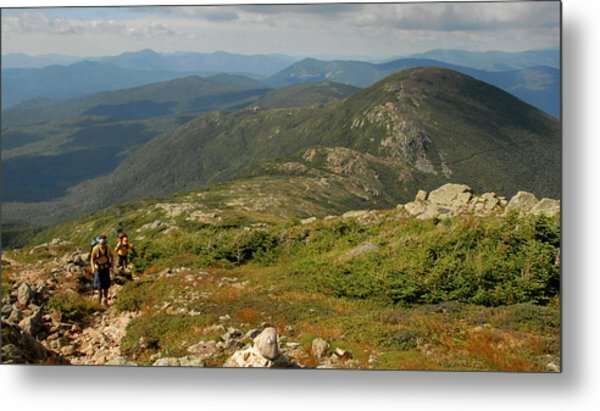 Two hikes head north on the historic Crawford Path, which extends over most of the Southern Presidential Range, ending at Mount Washington. 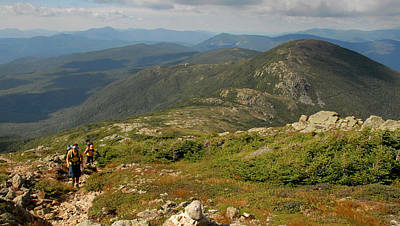 Mount Eisenhower is prominent in the background. 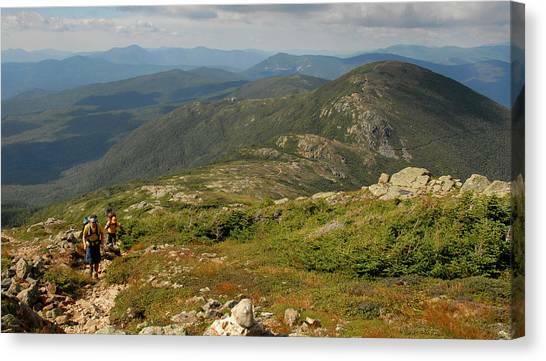 There are no comments for Summer Hike On The Crawford Path. Click here to post the first comment.